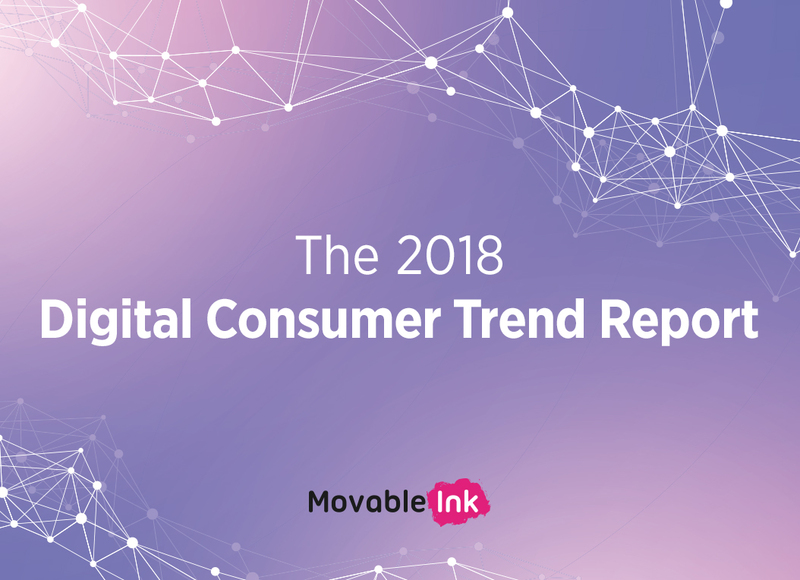 Fill out the form to receive the The 2018 Digital Consumer Trend Report. At Movable Ink, we keep a close watch on the way consumers interact with email. We report on consumer device usage — like open rates and AOV — on a quarterly basis, and now for the first time, we’re broadening our report to include additional consumer trends with behavioral data like page views, cart abandonment rates, and more. How consumers interact with brand emails across industries: retail, travel, media, publishing, and entertainment, and more. What the customer journey looks like in 2018. How to use this information to create elevated customer experiences.